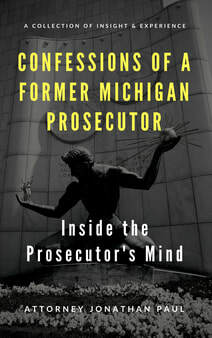 As a former prosecutor in New York City and Michigan, I had very different experiences in these roles. In New York City, defendants would typically receive quick reductions down to non-misdemeanors, with a very limited if any license suspension and rarely did a first offender receive any probation. 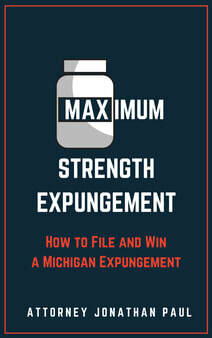 In Michigan, drunk driving cases were handled a lot differently. 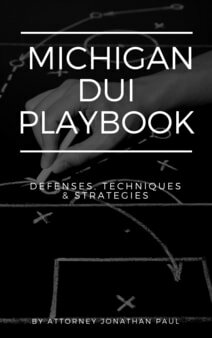 In Michigan, a drunk driving case can really vary depending upon what police department makes the arrest, because it determines what courthouse the case is heard, an who the prosecutor on the case is going to be. Some prosecutors are quick to reduce Operating While Intoxicated or Super Drunk charges down to Impaired Driving, but rarely anything below this offer. Judges typically put people on at least 12 months of probation, and some courts do send first offenders to jail. Prosecutors typically view DUI cases as serious charges, and pretty straight forward to prosecute. Prosecutors look for evidence of driving the car then the chemical test result being over the legal limit. If they have evidence of both of those, they are confident in their case, and typically hold firm in standard offers to the defendant. Some prosecutors have "policies" and will not make offers or will play hard ball day one, inviting a trial if you don't like the offer. The majority of prosecutors don't want to set DUI's for trial and make themselves much busier; they have large caseloads and want to resolve cases. 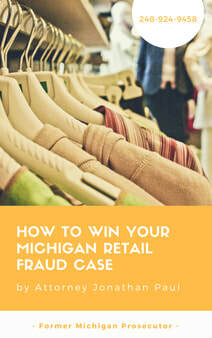 ​As a criminal defense attorney I don't want to settle for the default/"what everyone else gets" result. I want to create more options for my client, and we do that by creating leverage both outside and inside the courtroom. We create leverage outside of the courtroom by being proactive and changing the perception of the case from day one. When the case begins depending on your record, the prosecutor and judge will view you as a dangerous drunk driver who is lucky to not have killed someone. As a criminal defense lawyer I anticipate the perception of my audience and look to expand the information pool with positive information about my client's past, present and future. When I say information, I don't just mean telling the prosecutor my client has a good job, a family and he's a nice guy. The information comes from real action, which begins with a substance abuse evaluation with a follow-up on recommendations. The majority of my DUI clients are not frequent drinkers, they typically don't have more than 2-3 drinks, and have no criminal record. They have good jobs, pay their taxes, respect the law, and agree that drunk driving is not a good thing, and there should be punishment for the crime. They find themselves facing a DUI charge unexpectedly due to some variable changing on the day of the offense. It usually stems from not planning ahead, because my client has no intention of drinking too much. The night begins without plans in place, and the environment, surroundings, people involved are different than expected, and my client drinks more than usual, and they are unfamiliar with this situation, and don't put the breaks on. The drinks keep flowing and those drinks impact positive decisions. The client's decisions are no longer completely their own and they trick themselves into believing "risking it" is a good trade off to leaving a car in a parking lot, missing an early doctors appointment or their kids little league game. They make the decision to drive, because the chances are more likely they get home ok without incident. They fail to weigh the consequences, even if smaller and less likely - what if I get caught? Worse, what if I kill someone? If we can make this situation make sense to a prosecutor and judge, we're going to get a lot further along in our case. Essentially we can isolate this poor choice and get away from any perception that this is typical behavior, an addiction, something we can't control. 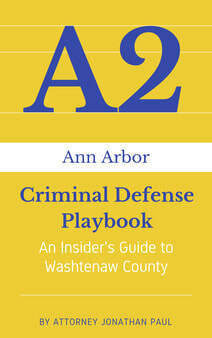 If we can pinpoint how we got there and work on that, a prosecutor and judge will view my client in a different light. Overcoming the "dangerous drunk driver" perception starts with identifying the true issue, demonstrating that you're taking it seriously, and ready and willing to work on it. With the evaluation comes a recommendation, which is usually counseling, alcohol education, Impact Weekend, AA attendance. We do proactive community service, MADD panels and most importantly daily alcohol testing. Yes, we voluntarily begin alcohol testing, because we need to show that alcohol is not a friend, and it's not something we rely on, we're dependent on, and rather than say "I learned a lot, I don't even a want to drink", we go ahead and show it. This is how we create leverage outside of the courtroom. I've used this leverage to turn DUI cases into non-DUI cases, probation cases into non-probation cases, and saved people's career, family and possibly their life. Prosecutor's don't like to go outside of the box, but if they do, it will require currency to justify their decision. ​Being proactive outside of the courtroom is going to lead to better deals with the prosecutor, and more favorable sentences from probation and the judge, but the best outcomes also have leverage inside of the courtroom, which means we need to find something within the facts of the case to push the buttons of the prosecutor a bit - create some sort of holes or uncertainly in the case. Traffic stop requires reasonable suspicion, an arrest require probable cause, and chemical tests must be done correctly to be admissible against my client. A full review of reports, videos, audio, and other evidence will hopefully provide us something to work with in terms of creating leverage. This could mean leverage for pretrial motion or at trial. Defeating the stop could mean everything after the stop is inadmissible. Showing the arrest was not based on probable cause could suppress any field sobriety, statements, and chemical tests. Suppressing the blood or breath test could leave a prosecutor quite thin on evidence for trial. The goal is not necessarily to file the motion or set for trial, because that runs the risk of losing control of the outcome or losing a plea offer, but having the leverage to proceed with either option - something more than a blanket "I'll set for motion or trial" - that's a bluff and prosecutors do not bite on those. You need to show them the leverage in a reasonable way - don't pull out your sword, just talk about the sword a bit.